We meet in the church on the 2nd, 4th and 5th Thursday of each month to read the Bible together and pray about local, national and international issues. The evening starts at 7.30pm and finishes at 9pm. All welcome! On the weeks when the prayer meeting isn't on, fellowship groups meet in local homes. 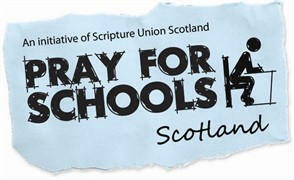 Kinmylies Church is part of the school's prayer network and pray for pupils and staff at Kinmylies Primary, Muirtown Primary and Charleston Academy.